It has been seen as a relatively cost-effective way of improving the star energy efficiency rating of new builds and renovations. However, we also know that holes and thermal bridges in the building fabric compromise thermal performance and a major source of these are the windows. Windows are traditionally the weakest link in residential buildings when it comes to energy efficiency but here, we love our windows! So, can a window be as thermally efficient as a wall and help improve the energy star rating of our homes? We normally measure the thermal performance of walls with R-values, the measure of resistance of a building fabric to heat flow, where the higher the better. On the other hand, the thermal performance of windows is usually expressed in U-values, the measure of heat loss through the window system, the lower the better. For the purpose of comparison, using the U-value measure, an uninsulated cavity wall might have a U-value of approximately 1.6 W/m2K, while a solid wall approximately 2.0 W/m2K. Adding insulation will improve the U-values even further. The Building Code of Australia suggests that for Melbourne, the minimum total R-value for walls should be 2.8, which is equivalent to a U-value of less than 0.4 W/m2K. But window systems currently offered in Australia commonly have U-values of well over 4.0 W/m2K. In fact, of the WERS rated residential window products offered in Victoria for example, almost half have U-values at or higher than 4.0 W/m2K. Less than three per cent of products offered have U values under 2.0 W/m2K. A 2010 report prepared for the government investigating the pathway to 2020 for low energy, low carbon buildings found that there are diminishing returns to adding or upgrading insulation in walls and roofs. Once insulation has been optimised, windows become the next most important element in residential energy efficiency. Good building design optimises solar passive design through window distribution, glazing ratios as well as orientation. Good window design means considering the glazing, sealing, frame material and installation of the window system. Glazing options are growing in Australia as supply of insulated glass units (IGUs) and low emissivity coatings improves. Single glazed clear glass should be a thing of the past, as it is in American residential architecture. The standard in the US for some time has been an insulated double glazed low emissivity window. Better performance is achievable with hermetically sealed IGUs with at the very least a 12-millimetre gap between panes. Less than a 12-millimetre gap and the insulation effect starts to drop exponentially. Increasing the gap to 16 millimetres can reduce U-values closer to, or below two where low conductivity frames are used. To complicate things, it is not necessarily the same glazing system for every window in a building the choice of glazing depends on the building's design, the window's design and orientation as well as climate. Visible light transmission and solar heat gain coefficient are necessary considerations. Higher performing windows have continuous, built-in double sealing systems and multiple locking points to provide a tight seal between the sash frame and the house frame reducing air infiltration. It is also worth looking at whether there are pressure seals on sliding glazed doors and windows to reduce the progressive wear and tear that otherwise occurs with regular seals. It has been reported that a fairly common practice in Australia is to rely on the architrave to provide a barrier to the wall cavity instead of sealing windows between the window frame and house frame. The material used in frames plays a significant role, not just for structural strength but also for thermal performance of the window system. Frames should overall be poor thermal conductors. Aluminium, however, is the fourth most conductive material (after silver, copper and gold) and about 1,000 times more conductive than uPVC. It therefore needs thermal breaks to improve performance. Thermal resistance of a window system can be improved by choosing insulating materials like uPVC or timber and/or frames with insulated cavities and the thermal bridges eliminated. Highly thermally conductive frames have become virtually extinct in Europe, yet remain a standard offering in Australia. To improve thermal performance, windows need to be installed airtight to the building. This can be achieved by using expanding foams or tapes, which together with good sealing systems can dramatically improve airtightness. Under the Building Code, all windows have to meet Australian Standard air leakage rates. The UK and the USA, for example, go further by mandating physical air tightness testing of new buildings. There is no doubt that windows have a hugely important role to play in improving the energy efficiency of residential buildings. What we install today, whether for new builds or upgrades, will potentially lock in greenhouse gas emission impacts for decades. A valid concern is the initial purchasing cost. High performance windows are more expensive in Australia than the incumbent standard, single glazed, thermally bridged window. And no doubt a function of supply-demand, they are costlier here than in major overseas markets where they are mainstream. However, an Australian Window Association capacity/capability study found there was capacity locally to switch to majority fabrication of IGUs within 12 months. Based on overseas experience, the cost of IGUs can be expected to drop substantially when codes and policies shift the market to higher performing windows. With the right policy transition pathways and market pull, there is no reason not to expect a move to efficiently insulating windows similar to that of the US or European window markets. So can windows be as thermally efficient as a wall? In theory, yes, evidenced by the emergence of 'Super Windows' with U-values less than 1.0 W/m2K in overseas markets. But here, we must first acknowledge that window systems are an important element for achieving residential energy efficiency. The brilliant internal blind system tailor-made for uPVC windows and doors, manufactured exclusively in SA by Australian Window Solutions. We are writing to say a huge thankyou to Stuart and his team for our fantastic windows & doors. We are so pleased with the way they perform and the ease at which they open and close. They are rock solid. What was really special for us was a series of folding stays which Stuart sourced specifically for our project. Everyone who comes through our house (including the 2 Sustainable House Days so far) have commented on our Windows and Doors and we proudly tell them who we got them from. We'll certainly be using Australian Window Solutions Windows and Doors on our next house. In widespread use for decades in the UK as a thermally efficient type of window, many are now being upgraded by new styles of high performing uPVC windows, creating a viable waste recovery and recycling market for the material. In 2015, the UK industry reported recycling the equivalent of 4.3 million uPVC windows through the European PVC industry recycling scheme, Recovinyl, enabling ongoing growth and investment in the PVC recycling sector. See Us At The Home Expo! There are widespread concerns about the actual performance of Australian homes that are supposed to be achieving minimum energy efficiency standards in the National Construction Code (NCC). While 6 stars NatHERS energy rating* is the minimum requirement for design of new houses in Australia, how those houses actually perform is another matter, depending on the quality of the build, products and materials, compliance and crucially, how well sealed the building envelope is to retain thermal efficiency. CSIRO completed a report in December 2015 for the Department of Industry, Innovation and Science (whhich administers NatHERS) investigating air-tightness, insulation and heating/cooling ductwork aspects of new house construction in capital cities around Australia. Apart from some older (10 years) houses, most of the houses surveyed were assumed to have been built within the last 3 years to the 6 star NatHERS standard. A KEY FINDING OF THE REPORT WAS THAT HOUSES WITH UPVC WINDOW FRAMES RECORDED MUCH LOWER AIR CHANGE RATES THAN MOST OTHER HOUSES. Physically measuring Air Changes per Hour at 50 Pascals pressure (ACH@50Pa) at the houses, a wide range of air tightness results were found by the CSIRO researchers with an average of 15.4 ACH@50Pa. Almost half the houses were above 15 ACH@50Pa suggesting they are not particularly well sealed from an energy efficiency perspective. About a third were less than 10 ACH@50Pa, with the top performing house which had a specific design objective for air tightness, at 1.4. There's clearly great room for improvement for the bulk of Australian housing. The report suggests that the quality of window sealing may be one of the factors having an impact on air tightness. Many uPVC window systems have built-in sealing systems so that there is a tight seal between the window frame and wall. Houses with uPVC windows surveyed by CSIRO were found, with one exception, to have lower air change rates than most other houses. The report authors concluded that consideration should be given to setting specific air tightness requirements in the NCC (next due for revision in 2019), recommending a value of no more than 10 ACH@50Pa be adopted. Furthermore, they suggested that NatHERS allow incorporation of certified air pressure results into NatHERS calculations, so that high performing houses like those using uPVC windows, can receive higher star ratings. At the moment a 6 star NatHERS rating at design stage is no guarantee the house will be energy efficient once built. Read the full report: House Energy Efficiency Inspections Project. An Australian Industry Code of Practice (ICP) and accreditation scheme for uPVC (vinyl) profiles to be used in windows and doors has been released. uPVC windows are known around the world for being durable, low maintenance, thermally efficient products. 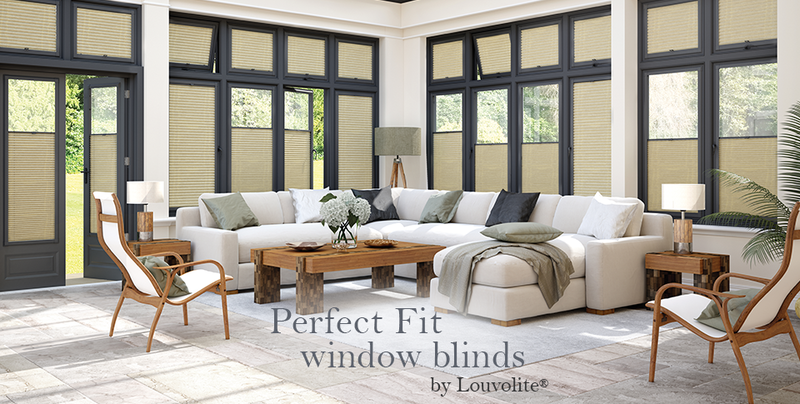 However, one of the most common queries from specifiers, builders and consumers about uPVC windows in Australia is whether the profiles will discolour because of high UV conditions here in Australia. Launched by the uPVC Window Alliance - an initiative of the Vinyl Council - the purpose of the ICP is to provide greater confidence in the durability of uPVC profiles under Australian climatic conditions and to reduce the concern that uPVC profiles will discolour. The ICP sets specific composition, weathering resistance, colour and strength requirements for extruded uPVC profiles for use in windows and doors in Australian buildings. Manufacturers of profiles that have been independently verified as meeting the ICP performance requirements may apply for licensed use of the ICP accreditation mark in relation to the compliant profiles. This mark provides a simple way for specifiers, builders and customers to identify accredited uPVC profiles, tested for Australia's extreme climate. 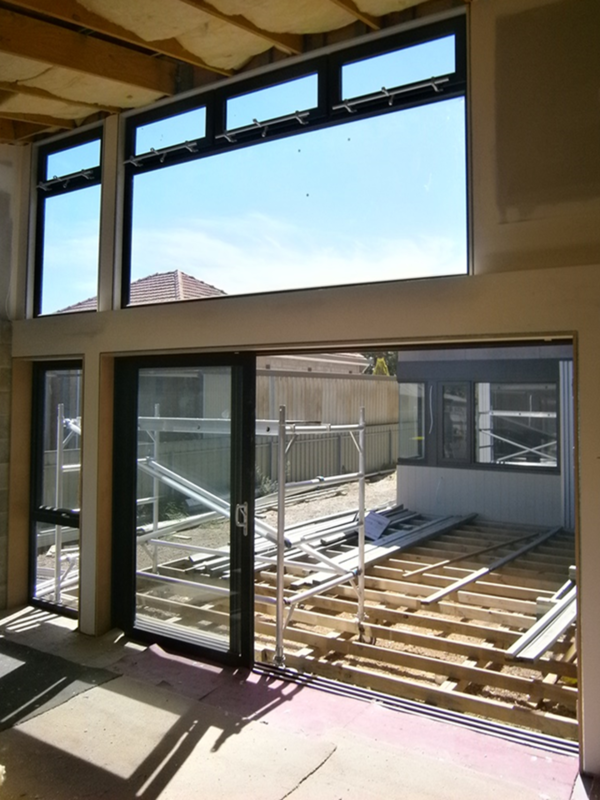 All profiles used by Australian Window Solutions are ICP accredited. Make sure your supplier can offer the same! 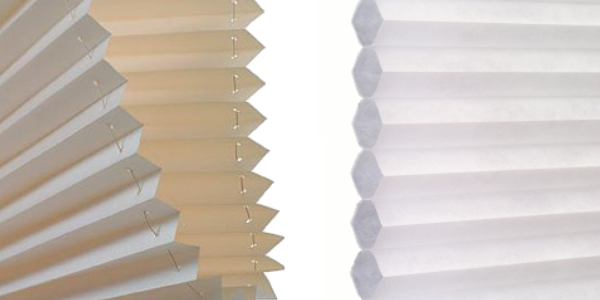 Tired of your precious home heating or cooling escaping through old single-pane windows? Or are you becoming frustrated with growing traffic noise affecting your indoor comfort? Then it might be time to consider an upgrade to uPVC double-glazing to improve the energy efficiency or the acoustic insulation of your home. Not only will double-glazing improve your indoor thermal and acoustic comfort, using quality insulating frames such as uPVC will enhance these benefits further. It is a common misconception that quality window frames can only be used when building a new home from scratch or as part of a new extension. Today's uPVC windows can be retrofitted into virtually any type of property, from residential houses and apartments to commercial buildings. With quality hardware and glass, uPVC window systems last for 35+ years, with minimal maintenance such as an annual wash with soapy water. They don't need to be painted, have excellent moisture resistance and can withstand the Australian sun. Contemporary uPVC windows offer a wide range of modern design options and colours including different woodgrains and plain and metallic colours to suit all types of architectural styles. uPVC windows have been proven in Europe and the US to be a highly suitable choice even for the restoration of historical buildings. INTRODUCING up to 5 YEARS FINANCE!! DOUBLE GLAZE YOUR HOME FROM JUST $75 PER WEEK! South Australia's largest double glazing specialist, Australian Window Solutions, are pleased to announce an exclusive double glazing finance partnership with one of the Country's leading finance specialists. This exclusive partnership will deliver affordable and competitive double glazing finance of up to 60 Months to make purchasing ultra energy efficient and sound insulating uPVC double glazing more convenient. With the cost of living ever increasing, finance is a great way to purchase a whole house lot of windows in one go, therefore maximising energy savings on those ever increasing and unwanted energy bill rises. In addition to savings of up to 74% on energy bills, making a whole house purchase also protects you from potential price increases in material and labour costs, therefore helping you to save even more money than if projects were done a bit at a time! Offering terms of up to 60 months, our partnering comany's quick decision processing system makes the whole process smooth and simple. For further details on typical payment plans, call Stuart Waring today to discuss your finance payment options.